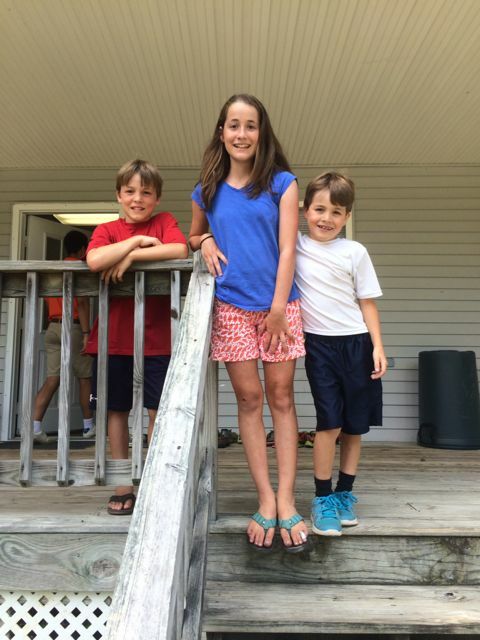 For the last three summers, my husband and I have had the pleasure of sending the kids off to sleepover camp. The last two years, we sent all three kids. I did not say that too enthusiastically, did I? We probably held on too long to agree to send our daughter and then easily sent our youngest as soon as they would accept him. However, there is a lot of preparation to get the kids out the door, even for the 6 days of freedom. While most overnight camps provide a packing check list, we thought we would highlight tips for sending your kids off to camp. 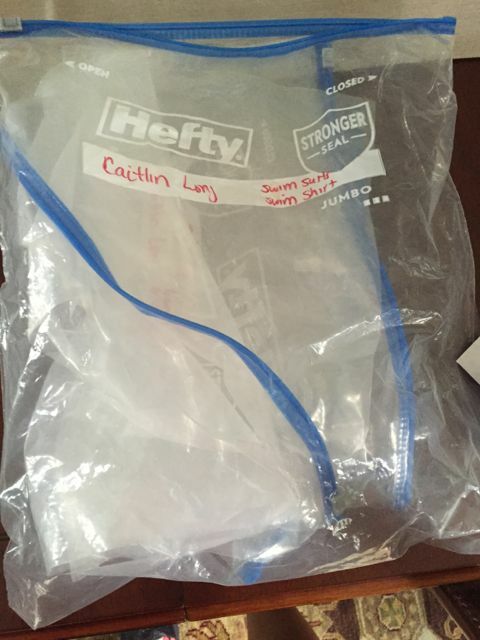 PACK SMARTLY: Our overnight camp provides a check list and suggested packing list, so thanks to a tip from a friend, I label large ziploc bags with their items. For Example: 5 t-shirts, 5-shorts etc. This way when they pack up at the end of the week, the child and camp counselor will know what should be in there. LABEL LABEL LABEL: Of course, most kids have the same brand name clothes at this age and unless you label them correctly, you are bound to bring home the kid in the bunk next to your child’s instead of yours. 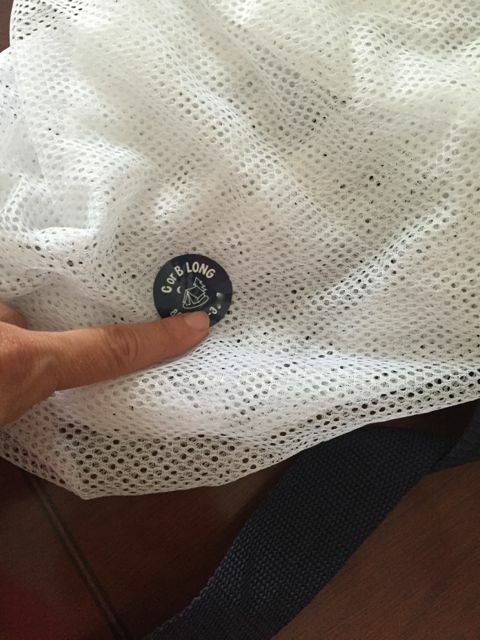 When I was growing up, I remember my mom having to tediously iron on all the labels. Thanks to Mabel’s Labels, their customizable products are laundry, dishwasher & microwave-safe and 100% guaranteed. Of course not guaranteed to get the things back that you labeled, just to stay on! 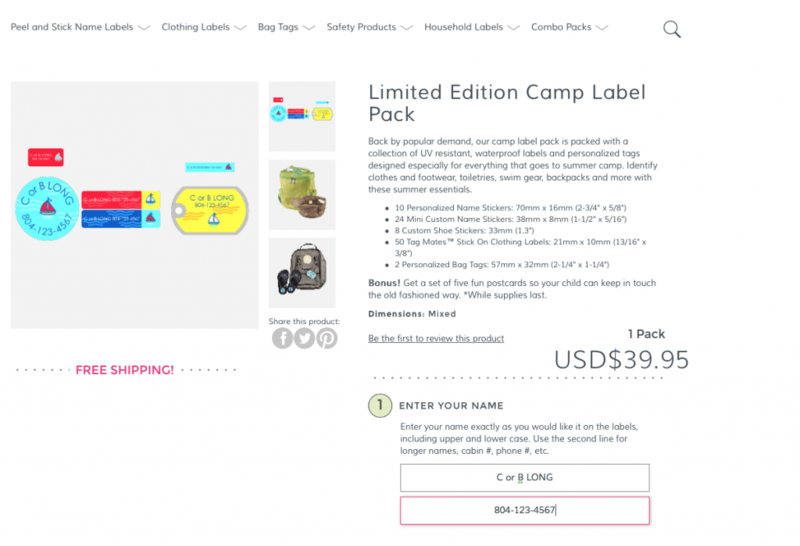 This year we ordered the Limited Edition Camp Label Pack for the kids. 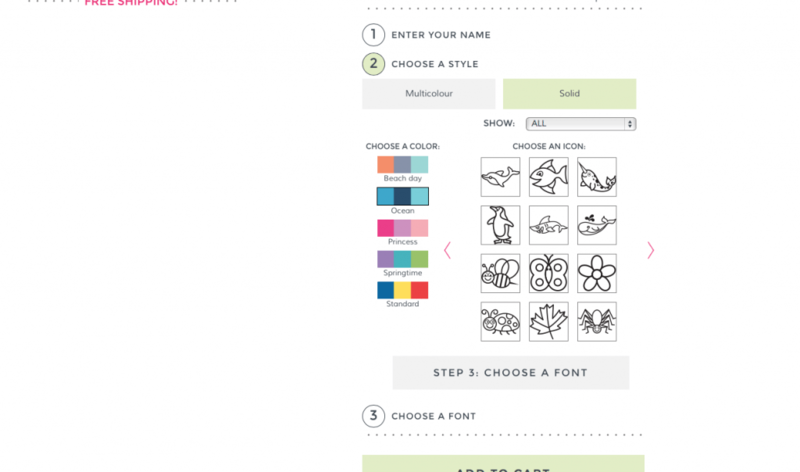 You can easily customize them by color, logo and font. We went with a neutral color so both my sons and daughter can use them to differentiate their stuff. Don’t just label clothes, we use camp labels for everything on our Camping list. Mabel’s Labels are perfect for clothes, swim gear, backpacks, shoes, toiletries, sleeping bags and even laundry bags. We label our sun screen, bug spray you name it. 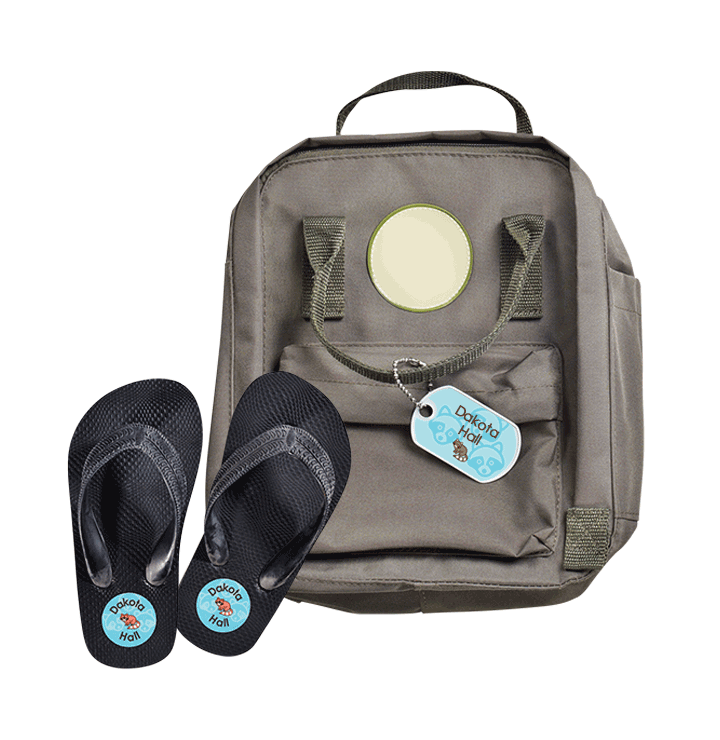 This set comes with shoe tags as well as a metal bag tag perfect for kids backpacks all year long. Over pack the essentials: Send more sunscreen than you think. I rather have them bring full bottles home than bring home a horrible sunburn. Before you send your kids off to camp, either away or day camp, be sure to grab this great Mabel’s offer. You have a chance to receive 15 – 50% or free item coupons! · By signing up for the Mabel’s Labels Newsletter and completing one additional social share, you will be given a one-time use coupon code. Go to Mabelslabels.com to find out which discount you got! 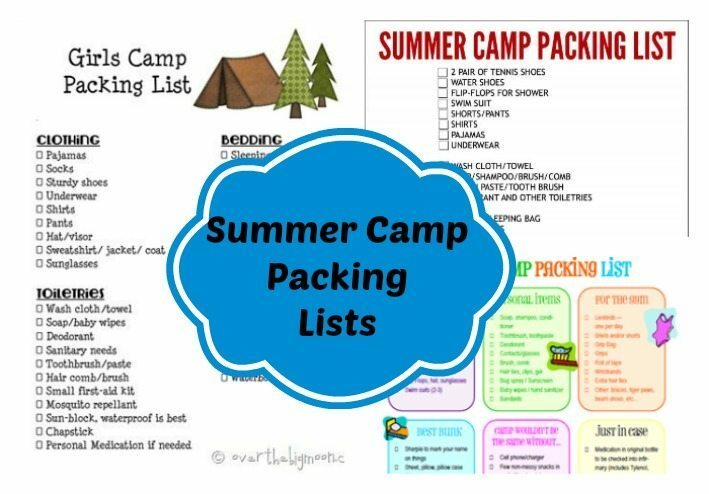 Print one of these adorable camp packing list printables we found on Pinterest. What is on your camp packing list? « How to make your backyard a paradise for your kids! I can’t wait to take my kids camping some day. I haven’t been since we’ve had kids. My husband and I went with our dog years ago but haven’t been since. These tips will help me since I’m so rusty! I like the idea of camping but dont know what I need or how to pack. Now I have an idea! I love the packing list. I make a list when I go away, but we don’t have one for the kids. ‘Sleepaway Camp’, as it was called when I wasa kid, was one of the best experiences of my entire life! Aw this makes me miss going to summer camp! Labelling is such a good idea because I can definitely think of a few times where I ended up with someone else’s socks or shirts. I have never been camping before, I keep saying I want to go but then wuss out. Maria – your daughter looks just like you! Great idea about using the labels – they’re also good for playing sports. Lots of time we had to search for my daughter’s water bottles and other items.